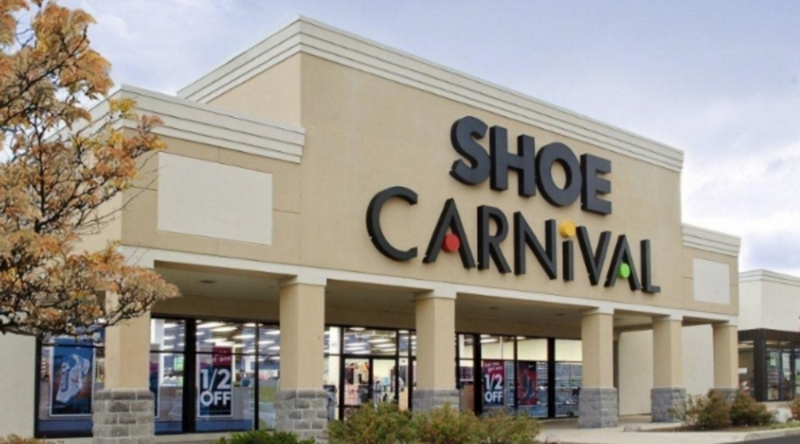 Shoe Carnival Inc. on Tuesday reported strength in both athletic and non-athletic footwear sales in the fourth quarter, which lifted comps to a 4.7 percent gain over the year-ago period. The company also reported record revenue and net income for the fiscal year. Net sales were $234.7 million for the 13-week fourth quarter ended February 2, 2019, compared to net sales of $243.2 million for the 14-week fourth quarter ended February 3, 2018. The net effect of the extra week on the sales comparison for the fourth quarter was approximately $15.2 million. Comparable store sales for the 13-week period ended February 2, 2019, increased 4.7 percent compared to the 13-week period ended February 3, 2018. The gross profit margin for the fourth quarter of fiscal 2018 decreased to 28.4 percent compared to 28.9 percent in the fourth quarter of fiscal 2017. Merchandise margin decreased 0.9 percent and buying, distribution and occupancy expenses decreased 0.4 percent as a percentage of net sales compared to the fourth quarter of fiscal 2017. Gross profit margin in the fourth quarter of fiscal 2017 included a $3.3 million gain on insurance proceeds related to hurricane-affected stores. Excluding the gain on insurance proceeds, the company’s adjusted gross profit margin percentage in the fourth quarter of fiscal 2017 would have been 27.5 percent. Selling, general and administrative expenses (“SG&A”) for the fourth quarter of fiscal 2018 decreased $4.9 million to $65.2 million. As a percentage of net sales, these expenses decreased to 27.8 percent compared to 28.8 percent in the fourth quarter of fiscal 2017. The decrease in expense was primarily due to the extra week in the fourth quarter of fiscal 2017 and certain charges recorded in the fourth quarter of fiscal 2017 that did not recur in the fourth quarter of fiscal 2018, including non-cash impairment charges of $3.4 million for 30 underperforming stores and a $1.9 million increase in stock-based compensation expense due to the enactment of the U.S. Tax Cuts and Jobs Act of 2017 (the “Tax Act”) and its impact on the anticipated vesting of the company’s outstanding performance-based restricted stock. Excluding the non-cash impairment charges and the additional stock-based compensation expense recorded, adjusted SG&A for the fourth quarter of fiscal 2017 was $64.7 million, or 26.6 percent of net sales. Net income for the fourth quarter of fiscal 2018 was $1.4 million, or $0.09 per diluted share. For the fourth quarter of fiscal 2017, the company reported a net loss of $3.9 million, or a loss of $0.24 per diluted share. This loss included the non-cash impairment charges, the additional stock-based compensation expense associated with the enactment of the Tax Act and the gain on insurance proceeds described above, and a $4.4 million additional charge to income tax expense recorded in the fourth quarter of fiscal 2017 as a result of the company’s remeasurement of its deferred tax assets and liabilities in connection with the enactment of the Tax Act, which impacted earnings by $0.35 per diluted share in the aggregate. Adjusted net income was $1.7 million, or adjusted earnings per diluted share of $0.11, in the fourth quarter of fiscal 2017. Net sales during the 52-week fiscal 2018 increased $10.5 million to $1.030 billion compared to $1.019 billion in the 53-week fiscal 2017. Comparable store sales for the 52-week period ended February 2, 2019, increased 4.3 percent compared to the 52-week period ended February 3, 2018. Net income for fiscal 2018 was $38.1 million, or $2.45 per diluted share, compared to net income of $18.9 million, or $1.15 per diluted share, in fiscal 2017. Adjusted net income in fiscal 2017 was $24.5 million, or $1.49 per diluted share. The company opened three stores and closed 14 stores during fiscal 2018 compared to 19 store openings and 26 store closings in fiscal 2017. For the fiscal year ended February 2, 2019, the company repurchased approximately 1.5 million shares of its common stock, at an average price of $30.15 per share, for a total cost of $46.0 million. On December 13, 2018, the company’s Board of Directors authorized a new share repurchase program for up to $50.0 million of its outstanding common stock, effective January 1, 2019. The new share repurchase program replaced the existing $50.0 million share repurchase program which expired in accordance with its terms on December 31, 2018. No purchases were made under the new share repurchase program as of February 2, 2019. The company reiterated its fiscal 2019 outlook previously provided on January 14, 2019, and continues to expect net sales to be in the range of $1.035 billion to $1.043 billion, with a comparable store sales increase of low single digits. Earnings per diluted share for the fiscal year are expected to be in the range of $2.60 to $2.70. Fiscal 2018 earnings per diluted share were $2.45.